If you were under 18 years old on the date of the alleged offence, before you plead guilty there are a few things you must realize. 1. You need to realize that you have a right to a trial to force the Crown to prove its case. By pleading guilty you are giving up that right. 2. You need to understand that by entering a plea of guilty you are admitting that the facts alleged against you are correct. 3. The choice to plead guilty is yours and yours alone. No one can force you to plead guilty. 4. The Judge will listen to what we have to say about sentencing and what the Crown says. Judges will often follow joint submissions, but the final decision as to sentence is solely up to the Judge. Under the Youth Criminal Justice Act (“the YCJA”), courts have many options in dealing with a youth charged with an offence. Unlike with adult convictions, custodial (jail) sentences are to be used only for the most serious of crimes or for repeat offenders. Youth Courts have available the use of extrajudicial measures which operate to prevent a future criminal record. Additionally, youths (like adults), may have the benefit of diversion programs and, in some cases, a police officer may choose whether to exercise discretion in laying a charge by issuing a warning, caution, or referral to a community agency that may assist the youth in preventing further criminal behaviour. As you can see, youth matters are treated with a greater focus on rehabilitation rather than deterrence, and more on reparation than on retribution. Importantly, while youth and adult justice systems differ, the effects of a criminal record, for however long, will still haunt that youth until such a time that the record is closed and RCMP and other police records are either destroyed or rendered inactive. There are no minimum sentences in youth matters so even if the Criminal Code creates a minimum penalty, such as impaired driving, it does not apply to youths if the youth has a lawyer bring the proper application to the Court. Age (i.e., 18th birthday) is NOT determinative of when a youth record is closed. Several factors affect when a youth record is closed (effectively “erased”): The seriousness of the offence; the final outcome of the matter; and, subsequent convictions while the youth record is open. It is not uncommon for a youth record to last into a person’s twenties and, in some cases, the youth record may become permanent. For example, someone who is charged after turning eighteen and is subsequently convicted of an offence, while his or her youth record is still open, will have his or her youth record become permanent. Though it is true that police services will not disclose youth records to private employers, this does not mean a youth record can never be discovered by an employer (actual or prospective). Many employers may require the youth to personally provide evidence that they have no record. As well, once discovered, an open youth record can be a valid reason for refusing to hire someone, or for firing the youth. Once a youth record is closed, it is equivalent to not having a record. As mentioned above, a youth record consists of court and police records. Once your youth record is up for closing, ensure that the RCMP record is destroyed. Local police can check RCMP records to see if any records pop up. Local police are not required to “destroy” the files, but they must remove them from their active files and, in any cases, only reveal the files under court order. 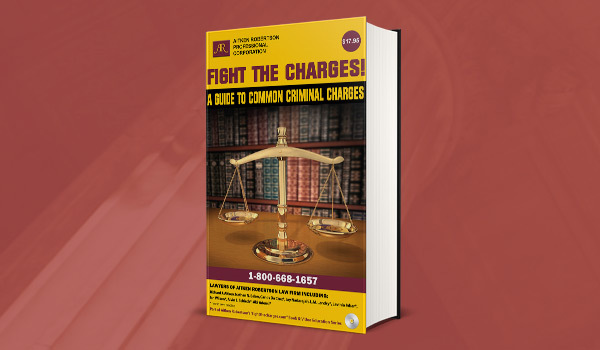 Fight Your Ontario young offender charges! Call our lawyers at 1-800-668-1657 or visit one of our offices to get a free 30-min consultation.